I began my music career learning guitar at age 10 and have continued playing to this day. The experience I gained over the years as a guitarist and musician laid a strong foundation for learning the bagpipes later in my life. I acquired valuable experience during my time as a musician, developing my musical expertise as a performer, recording artist, teacher and band director. I took up the bagpipes initially learning on my own and later taking lessons with Greg Abbott, a winner of multiple prestigious awards as a bagpiper. I also studied under teachers with the North American Academy of Piping and Drumming. My goal was to become a respectable, proficient piper. 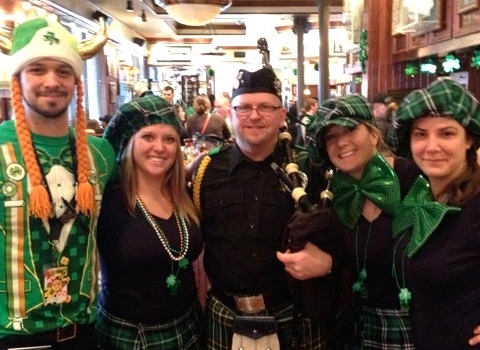 I helped found the Dalriada Society Pipe Band in Indianapolis of which I was a performing member and pipe major. 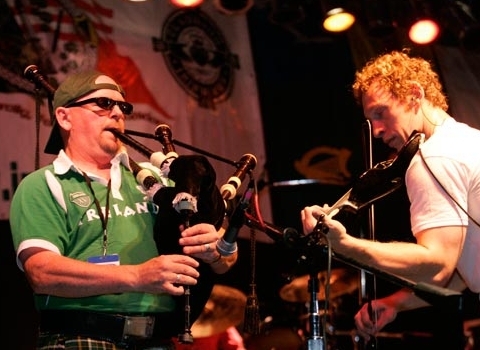 I later utilized my guitar and bagpiping skills to found two celtic bands – Siocháin and The Whigmaleeries which were based in Indianapolis, IN. I have been a professional Indianapolis bagpiper for over 20 years, performing at events such as: Indpls 500 race, Parade & Mini Marathons, Indpls Colts / Pacers games, Indpls Irish Festivals, parties, corporate events, weddings, funerals, several local PGA Golf tournaments and multiple golf fundraising events. Marine Corps Balls, 9th Infantry Division WWII Reunion, Flags 4 Fallen, Vietnam Mobile Riverine Force Reunions, City Parades in Indiana including St. Patrick’s Day, Labor Day, 4th of July, Carmel, Lebanon, Peru Circus, Cambridge City, Fishers, Hope and Fairmont Parades, San Antonio Festival parade (San Antonio Fire Department) Operation Heartland – for homeless Veterans, Irish Children’s Fund Fundraiser and Golf Tournament, Irish Dancers of Indianapolis fundraisers, ALS, Alzheimer’s, Relays for Life, Memorial day services, military funerals. Rufus is also available for travel outside of Indiana. He is also listed under Ohio bagpipers, Kentucky bagpipers, and Illinois bagpipers.